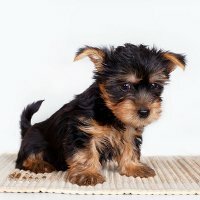 Puppy training pads can make housebreaking a tiny puppy easier if it's cold/wet outside, or if you don't have access to a private outdoor potty spot. But each and every pup is different, and has their own unique personality, quirks, and learning style! Training pads do have some drawbacks and they aren't the best choice for housebreaking every puppy, or in every situation. On this page I've taken a look at some of the most common problems that new owners face when using pee pads for housebreaking - plus some tried-and-tested solutions you can try if you have these issues. It should help you decide whether this option is right for you and your pup. If you don't have a safe dog-free area outdoors for your puppy to pee/poop. 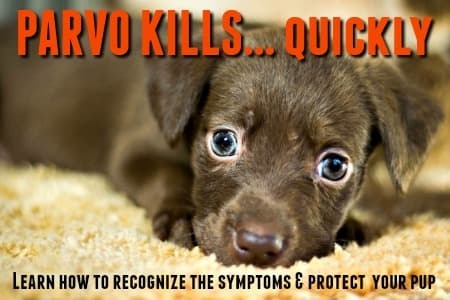 Puppies are very vulnerable to the type of contagious illnesses transmitted through the feces of other sick/infected dogs. By keeping him indoors (including at potty time) until he's had all of his puppy vaccinations you'll give him the best chance of staying healthy. If you work long hours, or have to leave your pup at home alone for extended periods while he's very young. Using pee pads let him do his business in an 'allowed' area rather than in his crate or on your carpet! During bad weather or if your pup is a tiny/dtoy breed. Some dogs, especially the tiny ones, hate to get their feet wet or to get too cold, so potty training them during the wet, winter months can be a huge challenge. Also, breeds that suffer in the heat (such as Bulldogs and other short-nosed breeds) often refuse to be outside in the heat for long enough to pee.. let alone poop. In either of these situations, using training pads makes life easier for everyone. If you live in an apartment, or have mobility issues, it can be difficult to respond quickly enough to a young puppy's need to get to his potty spot! Pee pads can help you overcome that problem until he's old enough, and has enough bladder/bowel control to 'hold it'. If you want the scoop on the best training pads on the market, hop on over to my Best Puppy Pee Pads page. There's more info. to help you and 'Buy Now' options too! Some puppies see their pee pee pads as toys and delight in dragging, scrunching, ripping (and even eating) them! This is bad enough when you're talking about a new, clean pad.. but it's even worse when it's a soggy pad decorated with poop! Buy pads that fit into a rigid frame rather than just sitting directly on the floor. Of course your puppy may see the entire contraption as a toy, but it's less likely.. and more difficult for the small and tiny breeds to get in on the act. Puppies of large and giant breeds are big in every respect, including their bladders. 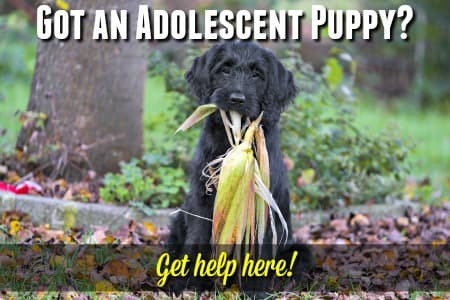 If you've never owned a large breed puppy you will be surprised by how much urine their bladders can hold - unfortunately they can't hold it for long. Only choose the X-Large, oversized puppy training pads for big pups (they're extra-absorbent), and definitely use a puppy pad holder or frame. You may also want to consider an indoor potty or doggie litter box instead as they're more absorbent. 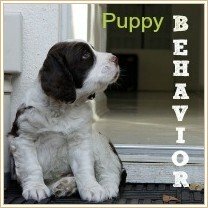 Puppies are creatures of habit and they learn by repeating certain actions over and over again. Once they learn that it's okay to use a pee pad indoors, it becomes more difficult later on to teach them something different. 95% of owners want their puppies to eventually be able to go outdoors to pee/poop and re-training their pup at a later can be challenging to say the least. The only way around this issue is to avoid using puppy pads in the first place unless you have a really good reason to do so. Training your pup to go outdoors to eliminate from day one will make potty training a puppy easier in the long-run. If you have to use pads to begin with, try to phase them out as quickly as possible and be prepared to invest some extra time and a lot of extra patience re-training your pup along the way. There are a variety of different types of puppy pads - different sizes, different absorbency levels, those that fit into frames or pad-holder, pads impregnated with a scent that will encourage your puppy to use them, eco-friendly varieties... and more. Choose the one that best fits your needs and budget. Puppies aren't born knowing that they need to use pee pads, or the back yard, to do their 'business'!You need to use a combination of crate training and constant supervision to make sure he understands what you expect from him. At the first sign of restlessness, intense sniffing, circling or even squatting, put your pup on his puppy training pad and use a potty trigger word or phrase such as 'go potty' to encourage him. Give lots of praise, and even a treat, when he succeeds. Don't scold or punish your puppy after the fact if he's had an 'accident'. Really, it's your failure to supervise him properly and intervene quickly enough that caused the problem. Your little one won't understand what he's done wrong unless you catch him in the act! When you DO catch him making a mistake, then it's okay to say a firm 'no', scoop him up and deposit him on the training pad right away...... and don't forget to praise him when he finishes up his business in the right spot. Although puppy training pads can work well for some puppies, and in some situations, they're not an ideal solution for most of us. In my experience, the very best way to housebreak a puppy is to use a crate. Crate training works with your puppy's natural instincts and desires and makes potty training simpler, quicker and less stressful for everyone. 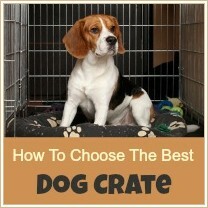 Click on the image to the left to find out why crate training is so successful and how you can get started today. If you're having trouble with the pee pads, there's another choice which may work better for you. Indoor dog potties are often more successful for housebreaking puppies than pads. The ones with grass can also help the transition to eliminating outdoors as the pup is already familiar with peeing/pooping on grass.